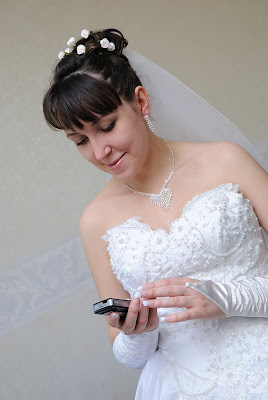 You may wonder how a Wedding Analogy has anything at all to do with a Mobile Site vs. Web Site discussion. We encourage you to take a few moments and read through this post to find out the answer! Sharon Rowe, Professional Client Services Manager for Acorn Internet Services, wrote an article that was featured in the Summer 2010 PAII (Professional Association of Innkeepers) IQ Journal. Mobile Friendly Websites: Why You Need Them and How They are Found. We Often Have Customers Ask Us: Is our Web site Mobile Friendly? The Big Formal Wedding vs. A Small Elopement. Think about your Web site as a Formal Event such as a Wedding. As the Bride and Groom To Be, you want your wedding day to be glorious, with all the bells and whistles you can afford. You search for a Designer Gown, Formal Tuxes for the Groom and Groomsmen, Incredible Band, Gourmet Menu and so on. Planning a Formal wedding is similar to an Innkeeper planning a Professional Web site design. You want the Best Photography for your property as part of a flash presentation, polished and professional design, including video and social media to support your business. And just like the guests at the Big Formal Wedding, the guests that visit your Web site expect to be WOW’ed! Now, let’s consider the alternative of a Big Formal Wedding – – A Small Elopement. Instead of the Big Formal Wedding, you may choose to simply go to the Justice of the Peace with one or two attendants. The outcome is still the same. You will walk away with a signed marriage certificate, but the advance planning and actual experience of an Elopement at the Justice of the Peace’s office will be very much scaled down as compared to a Big Formal Wedding. You’ll be coming to a small office, not a large church or gathering place. You won’t have room for 500 attendees, and the overall scheme will be smaller and more streamlined. You can compare an Elopement to a Mobile Site. You should not expect to squeeze all the bells and whistles of your Professional Web site into the standards of a Mobile site design. In the case of a Mobile design, the page options must be streamlined, easy to navigate and fast to load based on the requirements of the Mobile World. Plan and Design your Web Site to be glorious with the intent to be seen on a desktop PC or laptop. Then build a separate Mobile site to provide those using Mobile devices the very best hand-held experience they have come to expect. — Fast, easy to view and navigate without zooming or scrolling, so they may easily contact you and book a room. And remember, a Mobile site is great for helping potential guests find you when they are already on the road. This can be useful for people looking for last minute bookings, or even those who have booked early, and have forgotten to print directions or write down the address. Click Here to learn more about building a Mobile Site for your business! President and Co-Founder Acorn Internet Services, Inc. Educating our Industry One Innkeeper at at Time!